This post contains affiliate links for your convenience. While I may receive pennies if you purchase items from my affiliate links, I only link to things I use. One of the big requirements for girls camp each year is to complete a certain number of certification activities (e.g., tying knots, learning first aid) and honestly, I feel like most of the time certification is one of the most boring parts of camp. 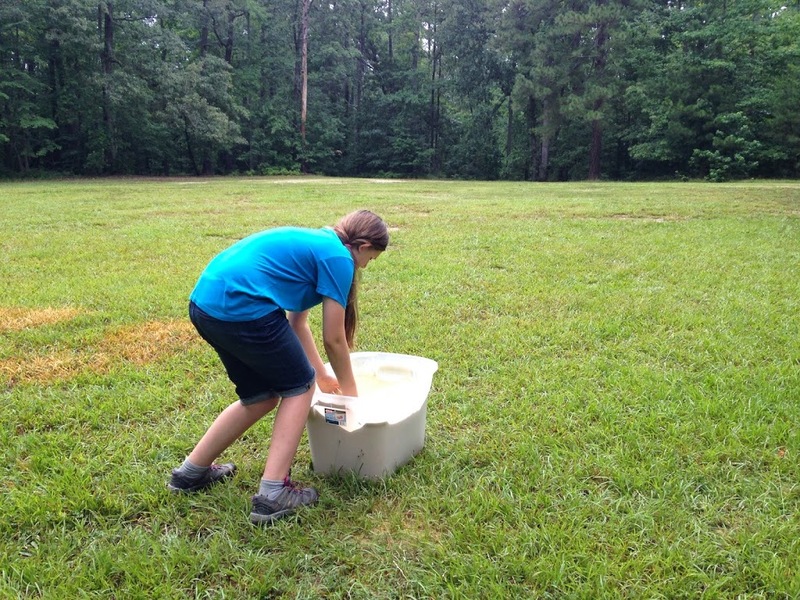 This year I suggested that we make certification fun with a big girls camp certification activity – a certification Olympics. It was one of the big activities I planned for the week, and all of the girls absolutely loved being able to incorporate the things that they were learning in more fun ways than just reading them out of a book and practicing them as a group. 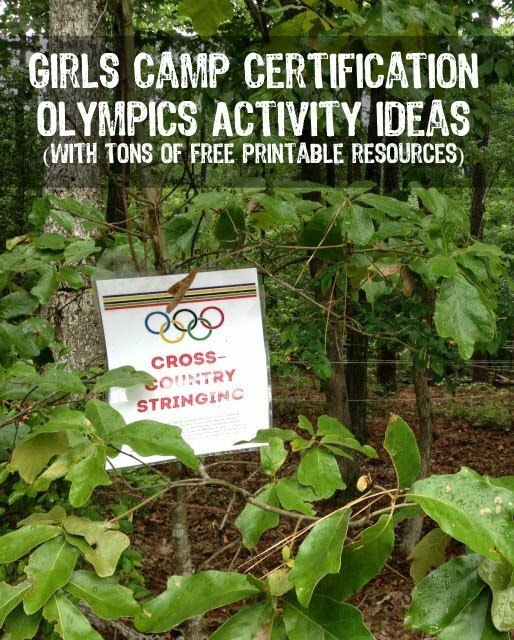 Even if you don’t do a full Olympics, you could easily just use these girls camp certification ideas as individual activities. We set our certification Olympics up by creating eight different stations that were each supervised by one of our level leaders. We then split up all of the young women (including our YCLs) into eight different groups with a specify country name, each group with girls from each of the age groups to help build unity across the camp. Once they were split up, they were sent to one of the eight stations to get started. Once all of the girls completed a station, the leaders reported back to me, and everyone (all eight groups) rotated at once so that there wasn’t a backup at any one particular station. 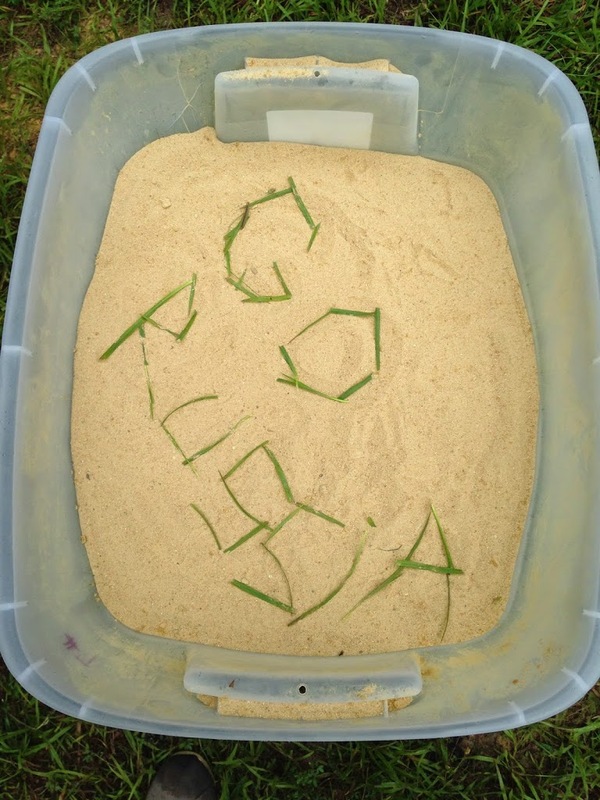 One of our teams was so cute and wrote “Russia” in some way at each event. 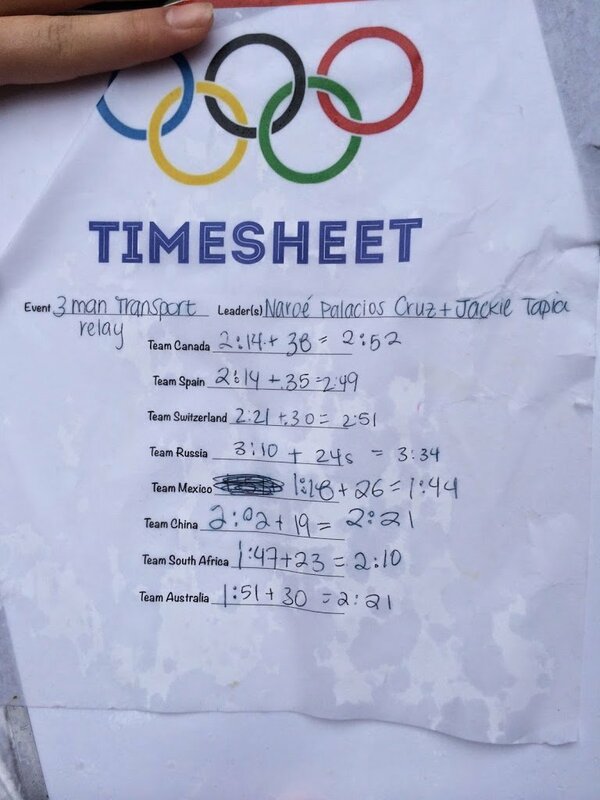 Each of the leaders had a timer (iPhone) and a timesheet with team countries on them. At the end of the Olympics, all of the leaders handed over their timesheets, and we gave prizes to the fastest team overall as well as a prize (plastic Olympic medals) to each of the teams for a made up award such as the matching masters for the fastest team to complete the matching game. We didn’t cover all of the certification requirements from camp but did get quite a few of them, across all of the different age groups. And the girls all agreed that this was a really fun way to do certification! 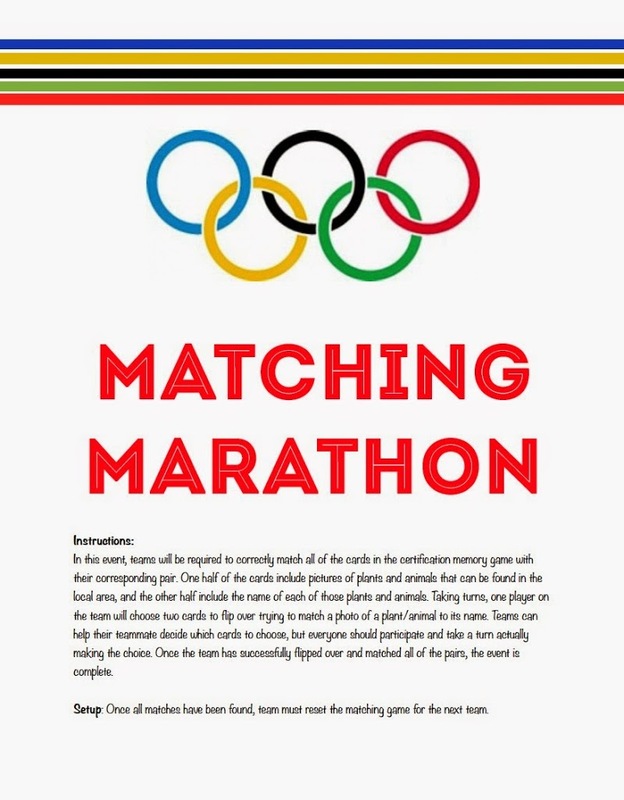 I’ve included a basic description of each of the stations below if you’d like to use this idea, and if you want to make it an Olympics, I’ve also included free printable versions of all of the questions, game pieces, and station signs that I created for the Olympics. Description: Girls were given instructions on various kinds of knots and how to tie them. Once they’d been given instructions, girls each chose a card with one knot on it and were asked to tie their particular knot as quickly as possible. The timer stopped once all girls had completed their knots. Description: Girls were required to play a memory game, matching pictures of animals and plants to their names. Description: Girls were required to complete an orienteering course using a compass to find flags from various countries along a setup course. I created cards that you can use for the different countries and just add on the steps you need for the course. I purposely left the cards blank so that you can add on the steps that make sense for your course as you are making the course. This is easy to do if you laminate the cards and use dry erase markers. Description: Girls were required to take turns picking out recyclable items from a kiddie pool (could use any container) and sorting them in the right pile then run back and tag their next teammate who did the same. Description: Girls were required to dig through sand to find plastic food items and then place them in the right food group; teams were required to create three plates full of food containing one of each food group. 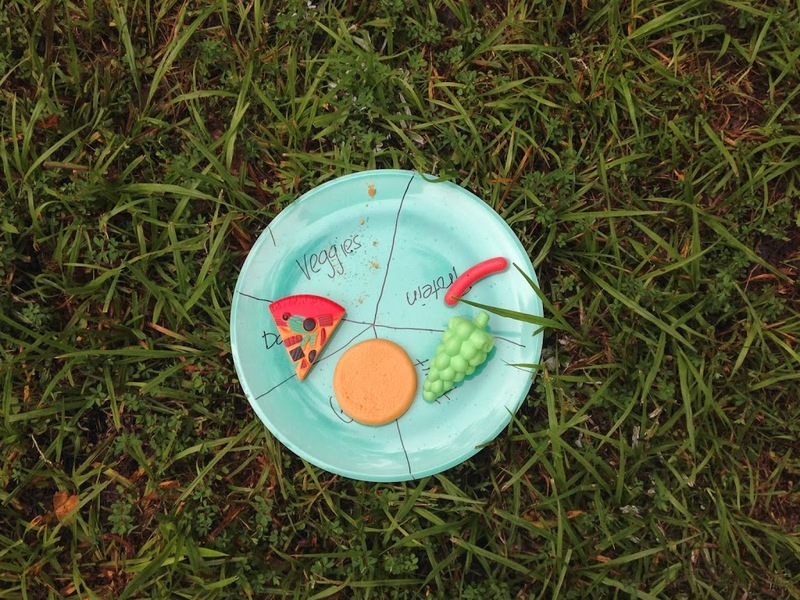 Equipment Needed: Plastic plates separated into different sections for food groups, plastic food, sand, and a large container. Description: Girls were required to make their way through a string maze by answering certification questions at given points throughout the maze. Each of the questions had three different answers that directed them left, straight, or right. If they got the answer correct, they went to the next question; if not, they hit a dead end and had to return to the previous question. As you are setting up the course, make sure to make it tough to see which way is correct (so the girls really have to follow the string to know the way to go). Also, I left the card directions blank so that you can write in directions that go along with your course, not mine. This is easy to do if you laminate the cards and use dry erase markers. Equipment Needed: 1/4 to 1/2 mile of string (I used bulk twine from Home Depot) and the question cards. Description: Teams learned various methods to transport injured victims. Once they’d learned all the methods, they had to pick one card at a time with a transport method on it, use that method to transport someone to a specified point and back, and then continue until they’d completed all the cards. Description: Girls each picked a constellation card and had to re-create the constellation on a paper plate using candies. If you have any questions or want more details about how we ran our Olympics, feel free to email me. Below you can download all of the documents that we used for the Olympics or you can click on the links in the supply lists above. And don’t forget to check out everything we did for my last year at camp – a certification fair complete with blackout cards, booths with tons of fun activities, and even handouts for the YCLs! On the cross country stringing how did the girls know which direction to go by which answer they gave? Hi Sara, I laminated each of the question cards. When we were setting up the course, I just added the direction (left, right, straight) on the cards with dry erase markers. The girls went the direction that went along with the answer they chose on the card. Make sure to make the course tough enough with twists/turns of the string that the girls can’t just look ahead and see which direction is correct or it’s not as fun. About how long did the whole relay take to do? (Want to make sure we start it early enough and don’t run out of daylight!) Also, each “country” starts at different station, right? Thanks so much for this awesome idea. Definitely makes certification better! Yes Sha, each country starts at a different station. The entire relay took us probably 3-4 hours. I would recommend doing it in the morning when it’s a little cooler and if you think it’ll be too long, I would just take out an activity or two. This is awesome! Thanks for doing all this work. I’m printing this and doing it at camp next week for sure! Thanks Amy! I would love to hear how it goes! It was fabulous! The girls had a blast and it was so easy to put together since you did all this work for us 🙂 Thanks again!! We are using this for my wife’s girls camp. Really nice work! However, you need to switch the Big Dipper and Little Dipper in the constellation pdf file. Polaris (the north star) is at the end of the Little Dipper, not the Big Dipper. Thanks for letting me know David. I just updated the cards to switch the big and little dipper! I would love to hear how it goes with your wife’s camp. Thank you, Thank you… I was just called as a camp director and it is in a month! We have an activity in one week to certify and I’m in charge. This is seriously saving my bacon. So so glad I could help! We will be doing this in a couple of weeks and I’m so excited! What a great idea. I do have a question, I hope this isn’t too obvious, but on the photo of your time sheet, why do you have the extra numbers added? 23, 30, etc? We did two rounds of the transport game because we had a large group. The first time is the first score, the second is the second team’s pace, and the final is them added up. Thanks for asking! Thank you so much for all of this! After many years of only ward certification, we’re attempting to do a lot on the Stake level! This helps IMMENSELY ! I can’t even believe it. We don’t have camp until June 2017, but as you know, it’s never too early to get started. So glad you can use them Heidi! THANK YOU for sharing this! I hope to adapt it to our theme of BOOT camp (Building Our Own Testimonies). Thank you for sharing your files and ideas. I love this! About hoe long did each activity take? I know how much time I have, trying to figure out how many I can include. Honestly each activity is a bit different and the length will depend on how you set them up. For instance, the web maze could take a long time if you made it super complex or less time if you made it a bit less challenging. There are definitely activities that take less time (recycling relay, 3 man transport, sand diving) and then activities that take more time because the girls typically are trying to relearn skills as they go (knot tying, freestyle orienteering, cross-country stringing). If you’re short on time, I would probably pick a handful of the shorter activities so that you can still split into enough groups to keep them fairly small. 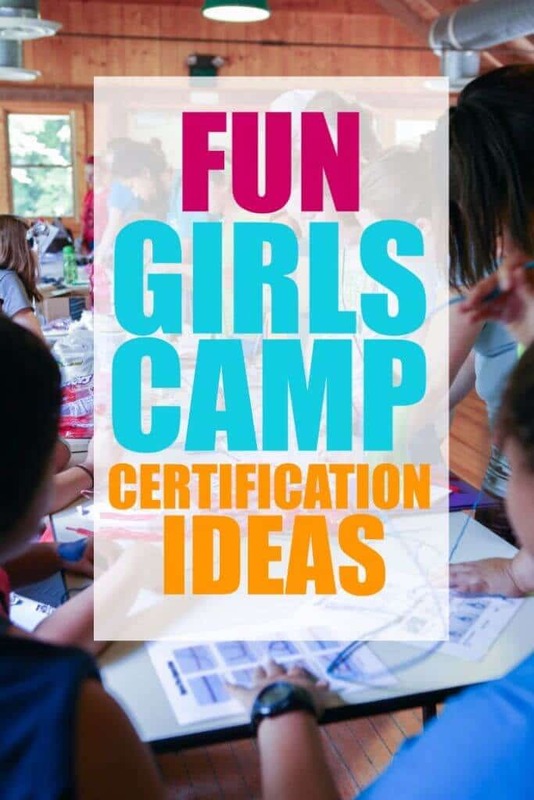 If you need more ideas for activities, I have another whole set of certification ideas here –> http://www.playpartyplan.com/2016/05/girls-camp-certification-ideas-certification-fair-printables.html. Just curious on the String Relay what certifications that you passed of specifically for the girls? And do you by chance have an answer card? Thanks for this great idea! Sorry for the late response Aubrey, the string race asked a bunch of questions related to certification. It’s not so much of passing a certification off but more quizzing them on their knowledge of certification and using their manuals. I have different flags already for the countries in our ward girls camp. Would it be possible to get an editable copy of this program so I can change the countries on the activities and sheets? Also, I love all of the work you put into this awesome activity!! Tressa, I’m so sorry I’m just seeing this. I’m guessing you already had camp? At each station was there an instruction period first and then the activity? Such as; Did you teach all the knots first, they practiced and then started with the activity? 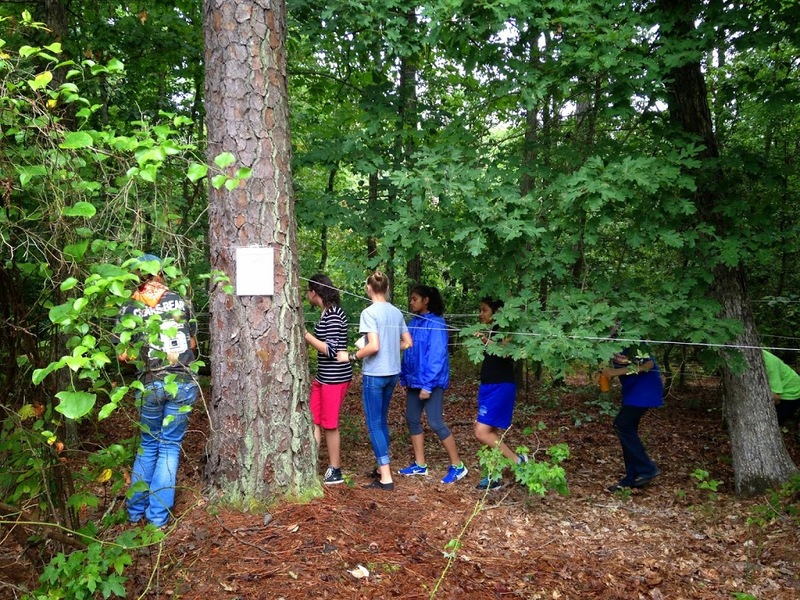 OR did they find the answers in their camp manual during the activity? We actually did some certification training the day before in each of the levels and then the Olympics were mostly practicing what they’d already learned. But you could totally have a few minutes of instruction first! Aww I’m thankful for you too Michelle!